It is Friday. The end of the day is near; the weekend is in sight. You only have one thing left on your to-do list to prepare for next week. The only thing separating you from a blissful weekend is written in bold capital letters: WRITE FACEBOOK AD COPY. You stare at a blank screen and feel the pressure. Where to even begin? Whether you’re writing copy for a client or for internal purposes, we all get stuck at some point. Writer’s block is a real epidemic. It could come in the beginning, middle, or end of the creative process. Follow these steps to help alleviate the pain. Before you even begin writing, start out by familiarizing yourself with the brand. Take a look online to learn about the different types of products and services, read about the company’s history, and explore the blog. Scan every single inch of the site. This will allow you to understand the company and its offerings better, which helps you write stronger ad copy. Research organic social posts – take time sifting through Facebook, Instagram, Pinterest, YouTube, LinkedIn, etc. Don’t forget to look at SEM ad copy as well. Let these media inspire you and help you get a better sense of the company’s brand story, personality, and tone of voice. Reading articles about the company and researching competitors will help you become more knowledgeable about the brand and strengthen your ad copy. Ask the client a lot of questions. Perhaps they have a brand book from which you could source information, or maybe they have some insight you could not find online. Whatever the reason, asking questions is always a great idea to help you get started. Just make sure you’ve done your research beforehand, so that you’re not asking questions you could easily find the answers to yourself. Unique selling propositions allow you to differentiate your brand from competitors. The steps above should help you figure out the company’s USPs. Once you’ve determined these USPs, you should include them in your Facebook ad copy to sell the products and services as effectively as possible. – Make sure your copy complements your creative assets. You want your text and image to work together to tell your story. You don’t want them to be conveying the same exact message or conflicting with each other. – Ensure your ad copy correlates with who you are speaking to. When you’re targeting someone who has never been to your website before, you’re going to use very different ad copy from when you’re targeting a past purchaser. To take that into account during your creative process, break out your ad copy ideas into prospecting and remarketing. From there, you can further break down your ideas into lookalike, interest, add-to-cart, and past purchaser segments and cater your messages for each audience. – Be consistent with your tone so that your audience recognizes your message across channels. What’s the brand’s personality? Make sure you have the right tone of voice and convey the brand’s personality through your ad copy. – Be concise and clear. 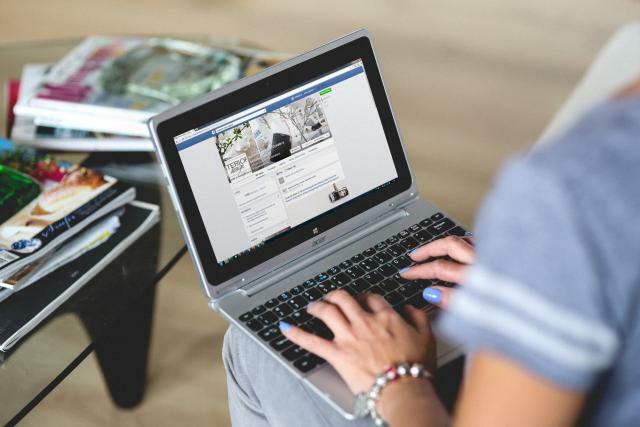 People have short attention spans, especially when scrolling through Facebook, so grab their attention with your easily understandable ad copy. Also, don’t be repetitive in body, headline, description, or image copy. Let each of these pieces work together to make your ad copy compelling. Getting stuck is part of the writing process, but there are steps you can take to break out of your writer’s block. First and foremost, write down ALL of your ideas. No matter how silly they might be, just get all of your thoughts out and filter through them afterwards. A brilliant copy idea might come to you at random points of the day, so be ready and jot those ideas down when they come. When you’re getting too in your own head, another important strategy is to take a break. With so many tasks to do and not enough hours in the day to complete them, we oftentimes forget to take a moment to step away from work. However, taking a break and revisiting your ad copy later allows you to come back to the table with a fresh perspective. Collaborate with a coworker and have a brainstorming session. This can help you get out of your head and come up with fresh ideas. Don’t let the fear of writer’s block keep you from coming up with great Facebook ad copy.